However, sales would also mean huge crowds in unbearable weather... Not a situation most of us would like to be in. Well, fret not! We have the greatest invention of all time - the Internet. And thanks to Zalora, we can experience GSS Online! (: For the uninitiated, Zalora houses both local and international brands so yes, there are awesome deals from them all. These loafers are perfect for the Dad who wants comfort, but also appreciates elegance. This watch is fitting for the wrist of the Dad who wants classic simplicity. 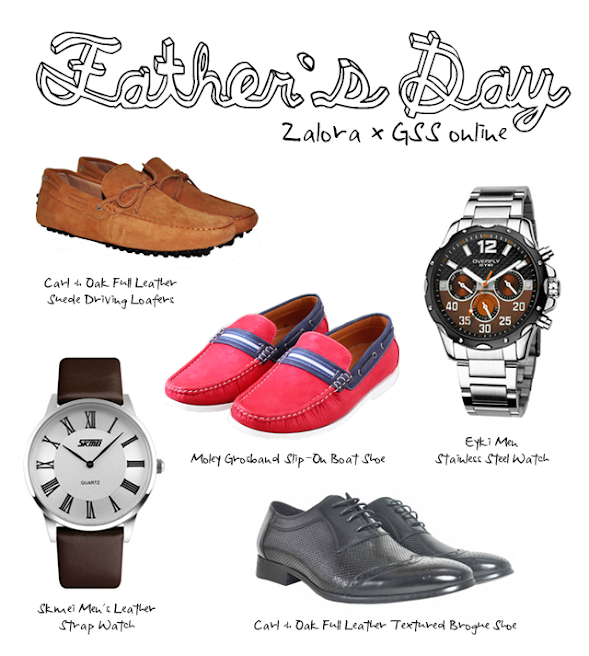 This watch will keep the Dad running towards greater heights. Made premium cow leather and sheep lining, this will keep the soles of the Dad, who embodies the modern gentleman, warm with sophistication. This bright and cheery red shoes will catch the heart of the Dad who's jolly 24/7.